We’re a diverse bunch here at Aston Shaw. Our team is comprised of individuals from all walks of life, this is something we’re extremely proud of and keen to maintain. This is the first in a series of blogs aptly named ‘Our People’, where we look closely at the people who make Aston Shaw what it is. And the person we’ll be looking at first of all is Client Manager, Christopher Lock. Christopher (or just Chris to most of us) first started at Aston Shaw in 2015 having begun training in an accounts role at another practice during 2013. Once Chris started at Aston Shaw he quickly progressed through the ranks, as is evident by the short period of time between when he started and when he became the head of our Ipswich branch. Chris joined us in 2015 and by 2017 he was the Head of the Ipswich Office, this is quite an achievement and is a testament to Chris’s competency as an Accountant. Prior to taking up accountancy, Chris was a professional go-kart driver – quite a significant career change! Chris first got into go-karting at the age of 12 and just as with accountancy, he picked it up very quickly and eventually became the British Champion… Then the European Champion, and then the Vice World Champion. During this time, Chris worked at an Italian go-karting company up until the age of 21, it was at this point he decided to make the switch to a career in accountancy. 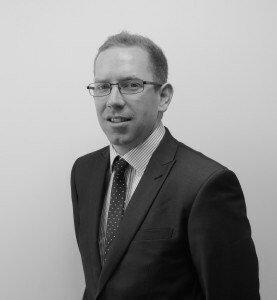 Now, Chris can be found managing a large portfolio of clients, regularly becoming involved in the production of accounts, self-assessment tax returns and VAT returns, as well as playing a vital part in the advising of clients. Having gained experience in all these fields, Chris now helps and provides guidance for new trainees at Aston Shaw. While Chris’s professional go-karting days may be behind him, he still returns to the track every now and then for old times’ sake – it’s safe to say that nobody here fancies their chances of beating him in a race! Are you ready to start your journey with Aston Shaw and be part of our extraordinary team (go-karting experience is not essential)? You can apply here.